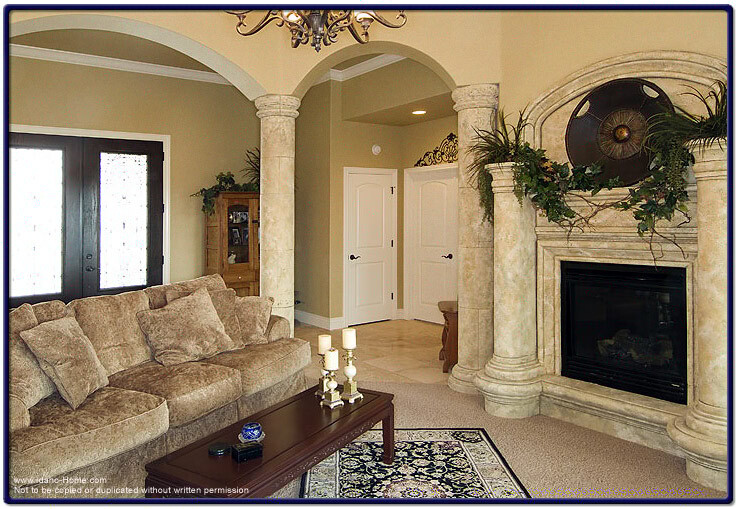 This is an image of a living room with the area composed of a precast custom fireplace, a double door entryway with Travertine tile at the entrance, and large pillars or columns as you enter the living room. This home was built and designed by Corey Schoenauer of One World Builders. Corey can be contacted by phone at 208.280.3333.